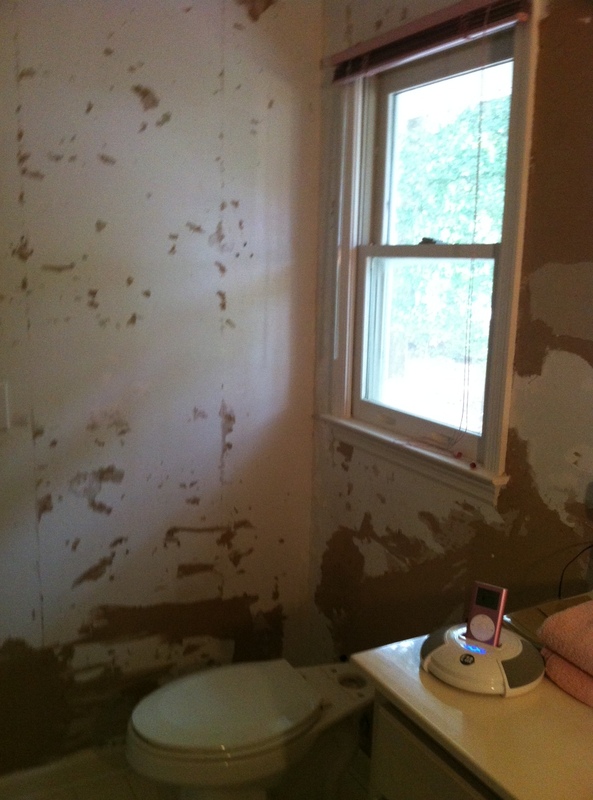 Don’t ask why, but just before Memorial Day I decided it would be a good idea to redo my guest bathroom. It was a nice bathroom, just outdated. It had thinly stripped wallpaper with a seashell border . . . yes in light teal and rose, those ubiquitous beach colors of the 90s, so okay—it was a bit dated. 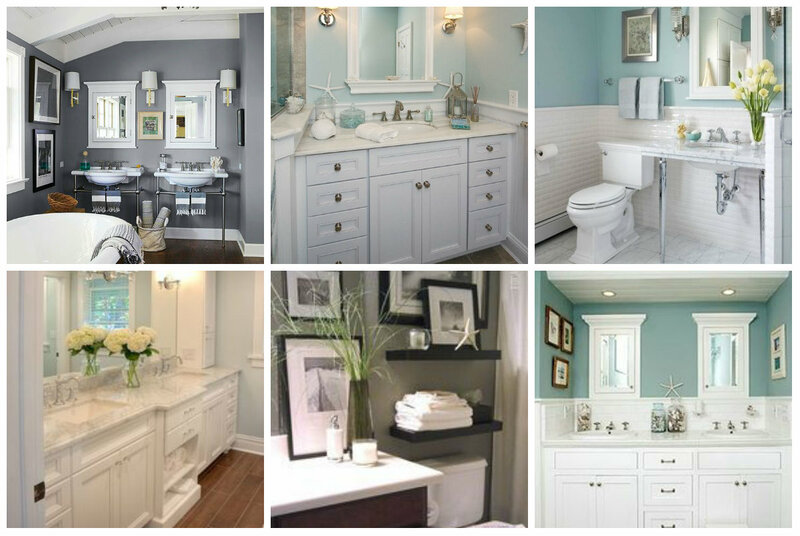 My daughter agreed, and after whipping out her tablet and showing me some Pinterest pictures with lovely bathrooms done in soft blues and light grays with fresh white trim, I was sold. Inspired even. Not having much experience with this redecorating stuff, I consulted the experts—my sister Jean, and my friend, Amy. Jean had mastered a thousand craft and home projects; Amy does this professionally. Both agreed I was in for a lot of hard work. Both gave me advice. Both of their weapons of choice were spray bottles of hot water and a scraper, Jean insisted vinegar be added to cut the glue. Both recommended I let Amy do it for her modest fee, which my sister was willing to pay. Had I been Nancy Drew, I had just missed the clue of the century—both Jean and Amy knew that I would soon be descending into a pit of drudgery few could climb out of unscathed. Still, I wanted to see what I could do on my own. Not really prudent considering I was going into my busy season, with more work facing me than I could handle without tackling this venture. Amy lent me one of her cherished scrapers, gave me a lesson, and patted me on the shoulder. Oh to go back in time. 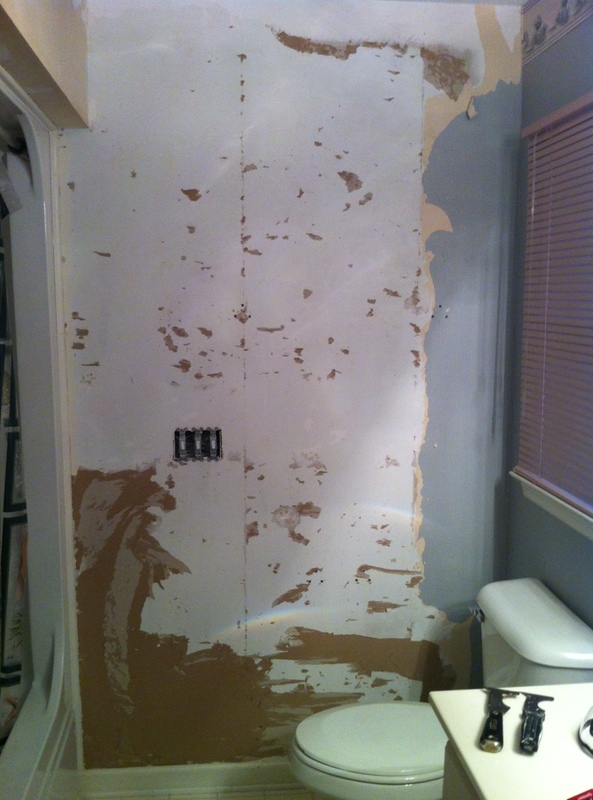 I began the process of stripping the wallpaper. 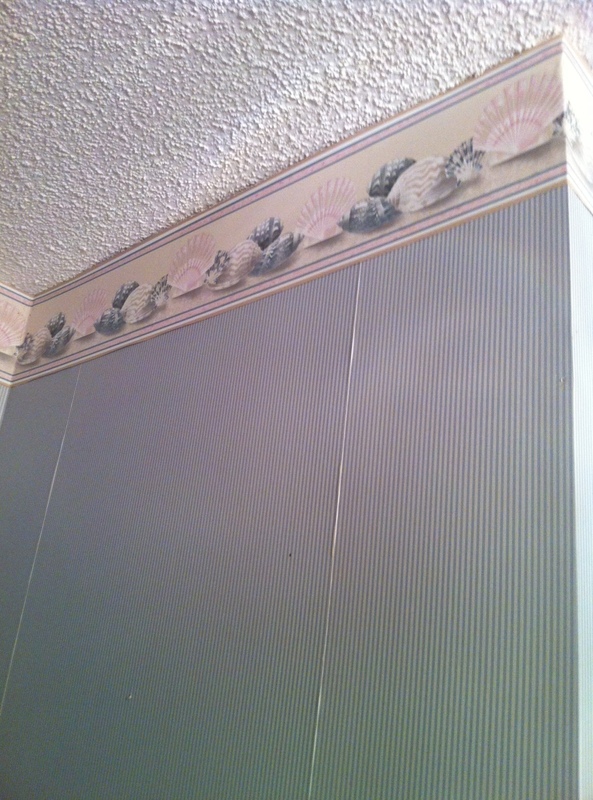 When we had the house built in 1996, the wallpaper had been installed before we moved in. I had asked that it be strippable, but eighteen years later, I was finding out that was not the case. Not even close. It was more like pulling concrete from brick. 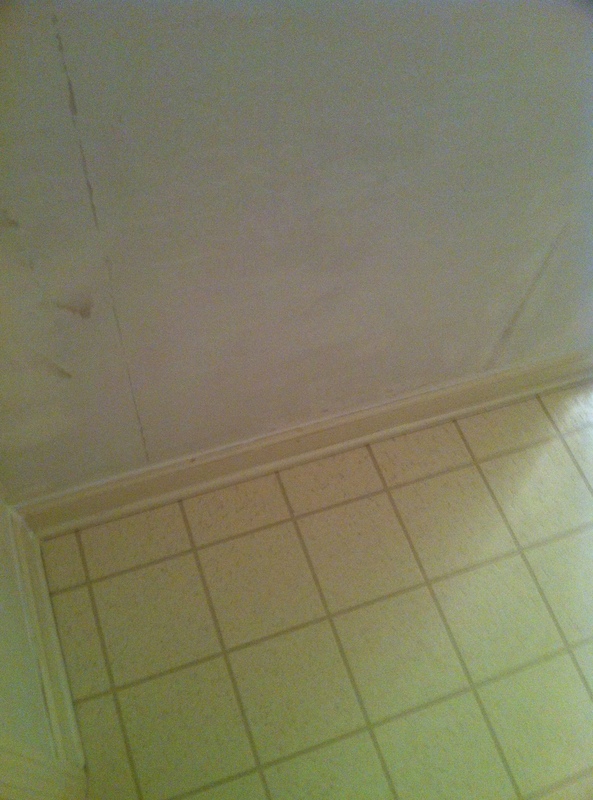 I found little evidence that the walls had been primed or painted before the installation. Neither the paper layer nor the glue layer came off without a through soaking and vigorous scraping. It was painstaking work, and on a good night, the most I could accomplish was one panel removed, a vinegar-soaked swath at a time. Working in my spare time on nights and weekends, it took almost the whole month of June. On the plus side, I now have upper arms with absolutely no waddle. 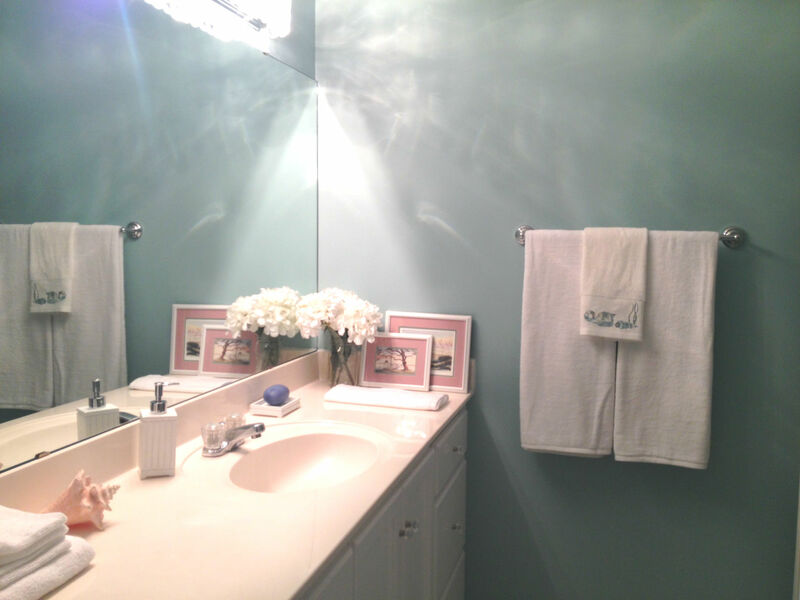 My husband had taken off the towel racks, switch plates, the huge over-the-sink mirror, the Hollywood-style light fixture, and had even put the tank part of the toilet in the bathtub to give me room to work and to make things easier. 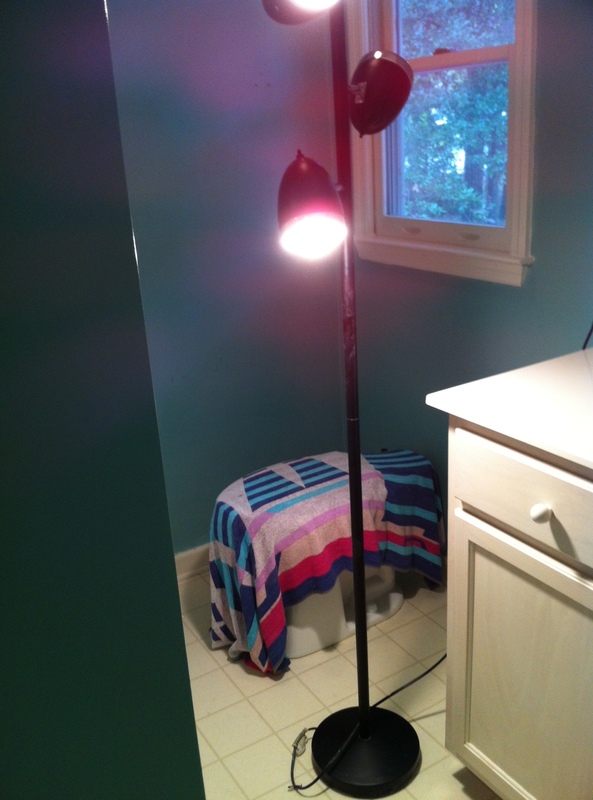 A pole lamp had been brought in, along with a step stool, buckets, sprayers, drop cloths, disposable gloves, and a huge pile of rags. I plugged my iPod into a portable dock so I could scrape while being serenaded by Il Divo. I settled in and accepted the fact that this renovation was going to take the entire summer. Like my writing (which was suffering greatly due to this project), I began to set deadlines for each step. One night I was up at 3 a.m. to finish the demolition process, as I couldn’t bear the thought that this project wouldn’t progress to the next stage on my timetable. Removing wallpaper that had been glued without benefit of primer or sizing to the sheetrock, left many bare areas once it was pulled away. Areas stripped of the paper covering the wallboard were left with a cardboard appearance. 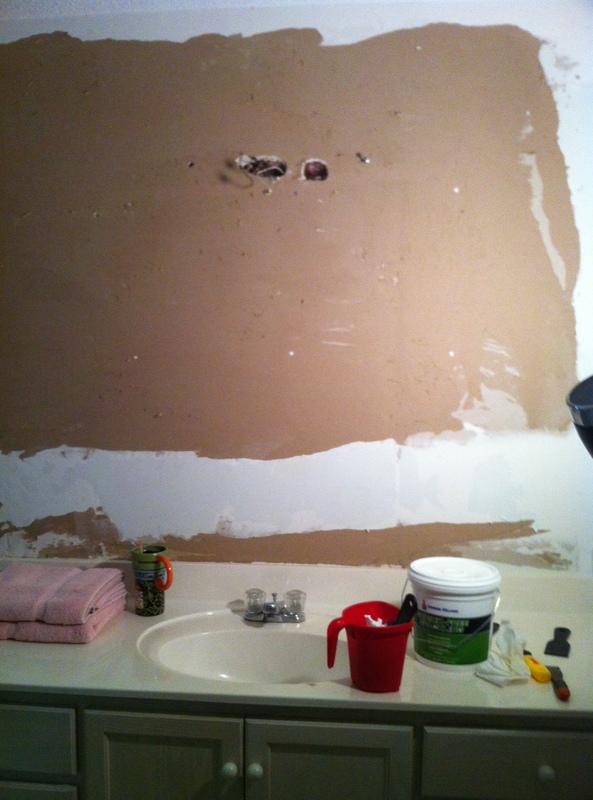 Half way through the removal process I was told it would have been better to just sheetrock over the old stuff. Now they tell me. When it was finally done, I took pictures, showed them around, and got more advice. 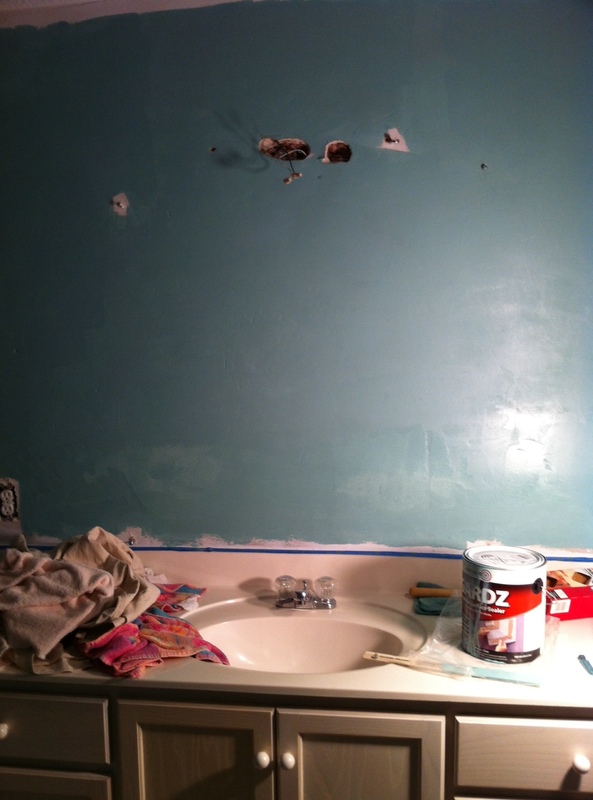 I was told I needed to mud, spackle, and putty next. I thought they all meant the same thing so I bought a huge tub of spackle, as it was cheaper and lighter. I liked the feel of it, it was fluffy, smooth and soft, and it didn’t have a bad smell. For the next few weeks, I applied and scraped using a variety of putty knives to assure a smooth even finish. It was like icing a cake—another process that never ends. It was two weeks before I was happy with the results. I’d had to return to the hardware store for two more tubs to get the job finished. But the walls were smooth . . . after two nights of tedious sanding. My boss and his wife (ironically, he’s a home builder and should have been consulted at the onset of this, but he was in the hospital at the time and I didn’t want to bother him) came by to inspect the job and marveled at what a fine job I had done with the spackling. 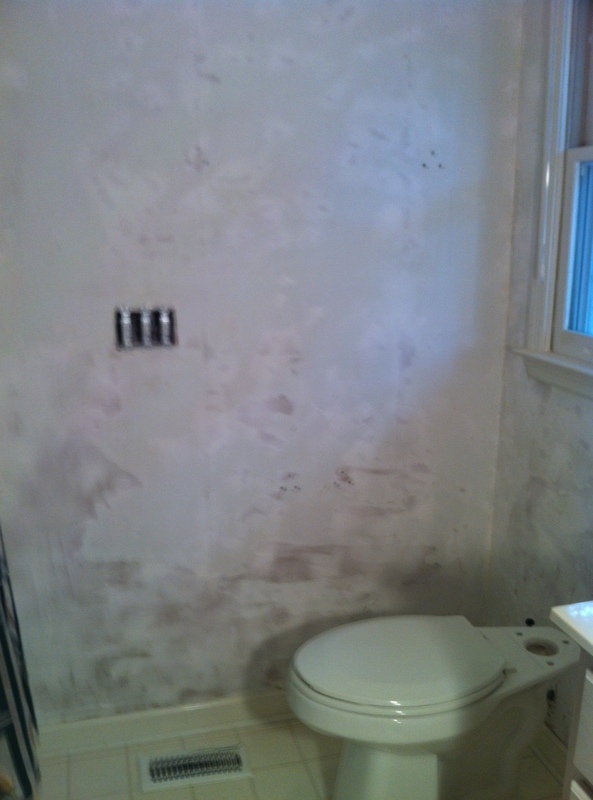 This is where I learned that I should have used “mud,” to give the walls a new “skin.” But still I preened; I had done a good job despite using a less manageable and more labor-intensive product that had essentially been made for covering small nail holes—the type Hints from Heloise used to say you could use a dab of toothpaste for. Imagine covering every inch of your bathroom walls with dabs of toothpaste and then smoothing and sanding it. The minty smell and Passera playing on the iPod would have been the only good part of that scenario. 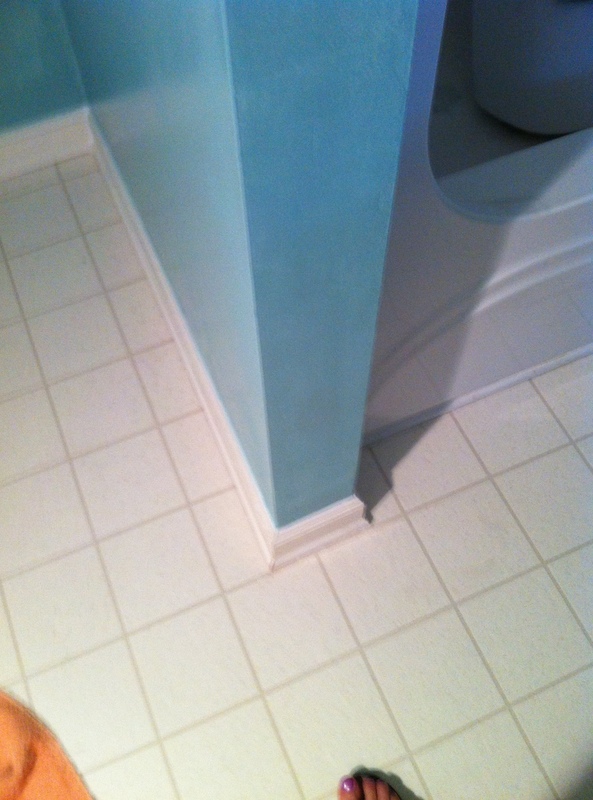 Next came caulking. Again, I took any offered advice. I watched six videos on YouTube before loading my “gun” and getting to work. Hubby was a big help teaching me to master both the trigger and the back-off lever. The most valuable tip ever was one I gleaned from a DIY site: always cut the hole smaller than you think you’ll need, and angle it 30 degrees. I practiced until I felt I could squeeze out a perfect bead. Then I licked my finger and drew it over the caulk making one perfect seam after another. I was careful to wipe my finger on a damp rag each time to remove all traces before moving on to the next bead. I did not need to lose any more brain cells to noxious chemicals. At one point I thought I might run out of spit. The mystery writer in me marveled at the idea that my DNA was permanently imbedded on these walls and I imagined how I could work solving a murder using this odd scenario. Of course that would have left me guilty so I gave up on that idea. After two nights I was ahead of my timetable for caulking. I was not happy to have to put my new toy away for the next step, which would be priming the walls. I bought the best paints I could find. As soon as I had managed to get the wallpaper and glue down, I knew I would never, ever do this again. What went up on those walls now was going to stay there . . . forever. 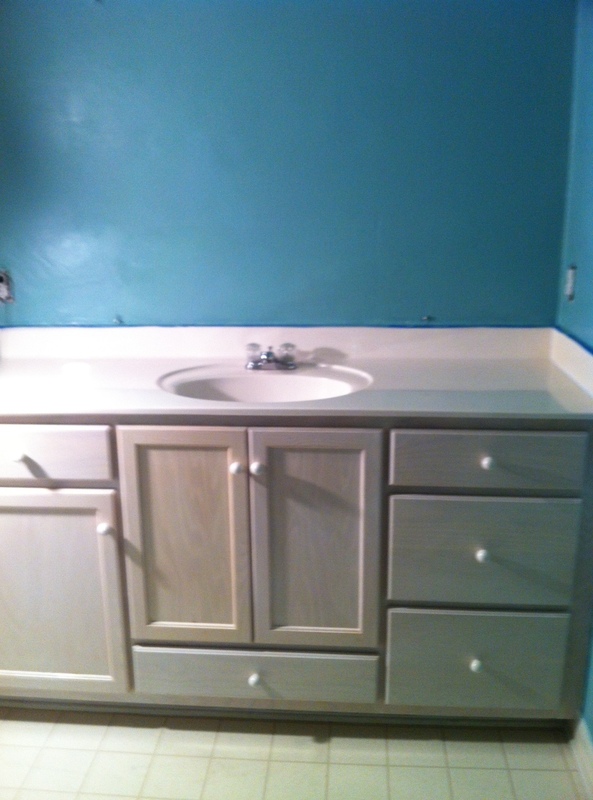 Because of this newfound conviction, I took my time deciding on the paint color. Again, I got a lot of advice. The pictures I had bookmarked on Pinterest swayed me. Thoughts of those lovely blue walls and dazzling white trim had kept me going when I had been close to giving in. I settled on SW 6479 named Drizzle, a dreary name that did nothing to convey the serenity of the lovely blue I had finally chosen. I went to Sherwin Williams the morning their 40% off sale began and bought all manor of supplies, including a waterproofing primer tinted one shade lighter than the paint so I could see instant results, a can of premium quality flat paint tinted halfway between Drizzle and the next color below it on the palette, white semi-gloss for the trim, and white gloss for the cabinets. Did I forget to mention I would have to paint them as well? They were originally stained a light pickled oak—not at all the look I was going for. Everything had to be painted either Drizzle or Premium Latex Gloss White. Did I mention I am allergic to Latex? It never dawned on me what the red rash on my hands and inner arms was until weeks later when I was storing the paint cans and reread the labels. I had actually used a firm nailbrush to clean the paint off each day, no doubt rubbing it in. Back to YouTube for some painting pointers. I had no idea what went first—cutting in or rolling? 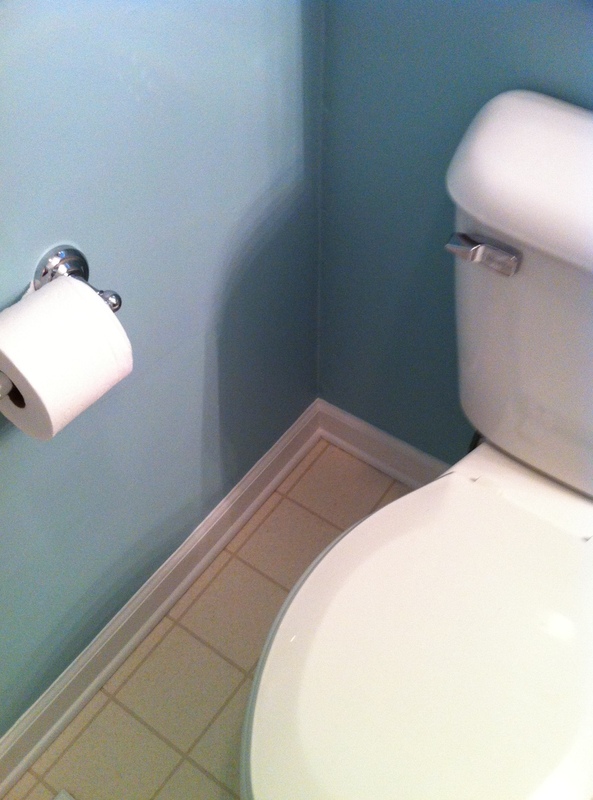 The walls first or the trim? Turns out there are no rules. I did the first coat of the trim, figuring I could cover any of my mistakes with the second coat. By this time I was anxious to see how the paint was going to “lay,” as the primer had mostly highlighted the wall’s many flaws. I opted to use the roller first. I got a huge surprise the day before the big Paint Day. My boss had called one of his subcontractors and arranged for his professional painters to come do the painting. I was thrilled with the gift. Also conflicted not to be doing what I considered the finishing touch all on my own. But having a paint job that looked perfect versus one that smacked of my amateur status won out. I had everything prepped and ready the next morning. They were in by nine and out by noon. It looked amazing. 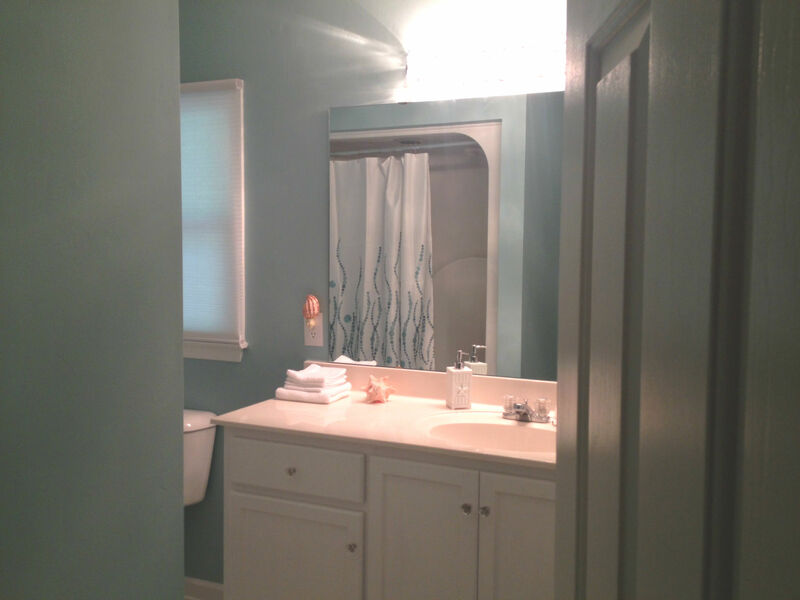 Yes, the toilet was still in the bathtub, yet the room looked amazing! The next project was the cabinet and its many drawers. My friend Deb offered to help. And for several days we stood in the sweltering hot garage sanding and putting on three thin coats. That is the key, I learned from an experience that necessitated stripping one painted panel down to bare wood again. Thin coats of paint. 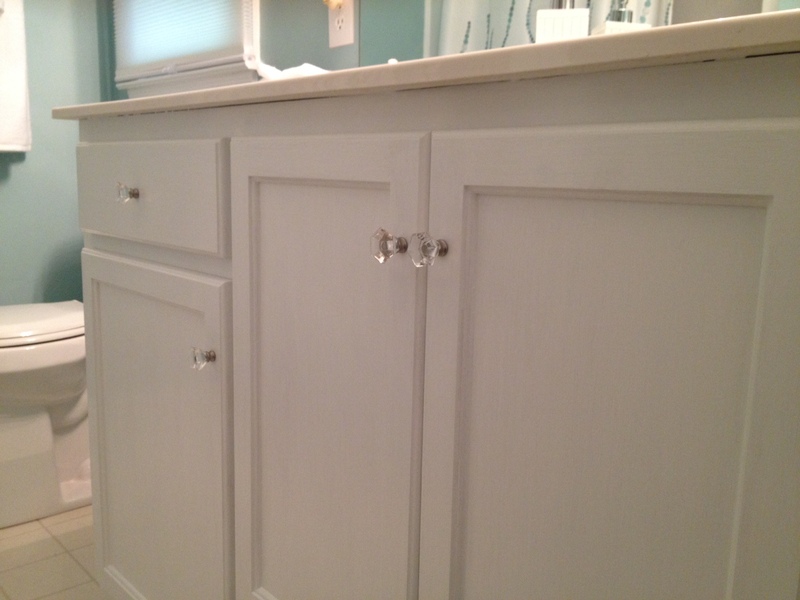 When they were finally finished, the cabinets could have been on Pinterest. They were that perfect. 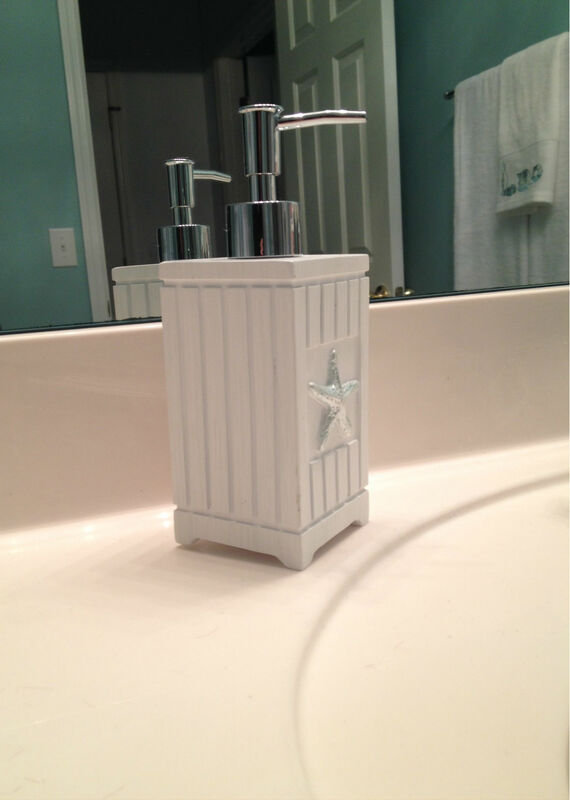 After a few minor touchups and a major cleanup where everything was re-installed, it was time to shop for a new shower curtain, trash can, pleated window blinds, cabinet and drawer pulls, soap dish, dispenser, and towels. I never knew there were whole websites devoted to drawer pulls—some as high as $320—EACH! 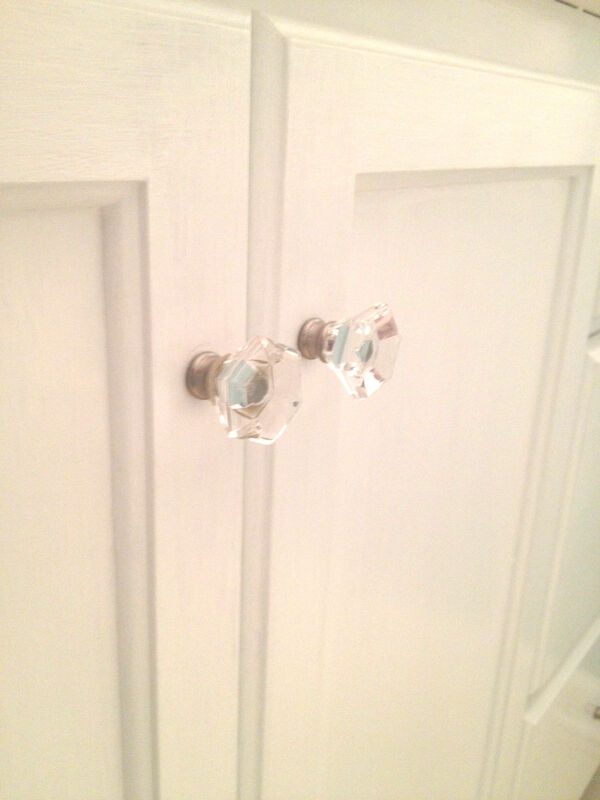 The ones I settled on were a little over $12 for four, faux crystal knobs that looked splendid against the white panels. The shower curtain my daughter found at Bed Bath & Beyond looked as if it was custom made for the room. 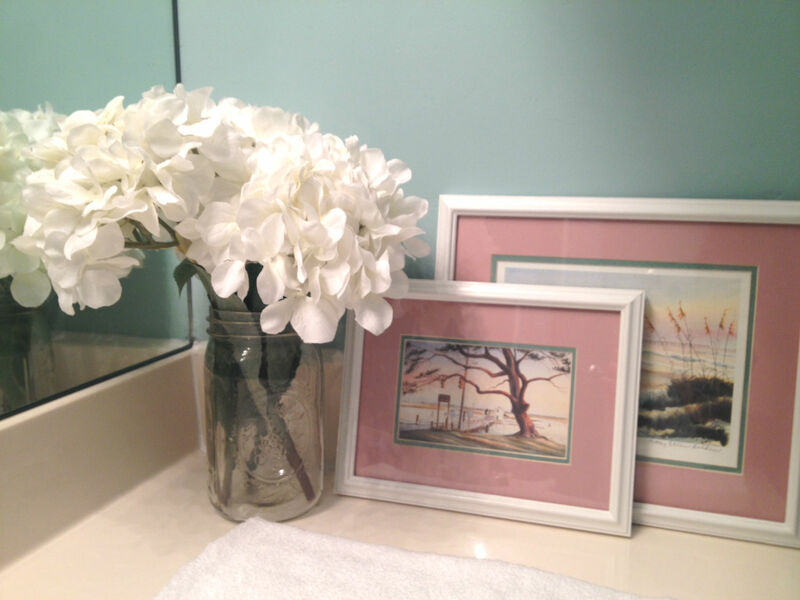 A squatty Mason jar filled with white silk hydrangeas completed the look. I had made the Labor Day deadline—but just barely. 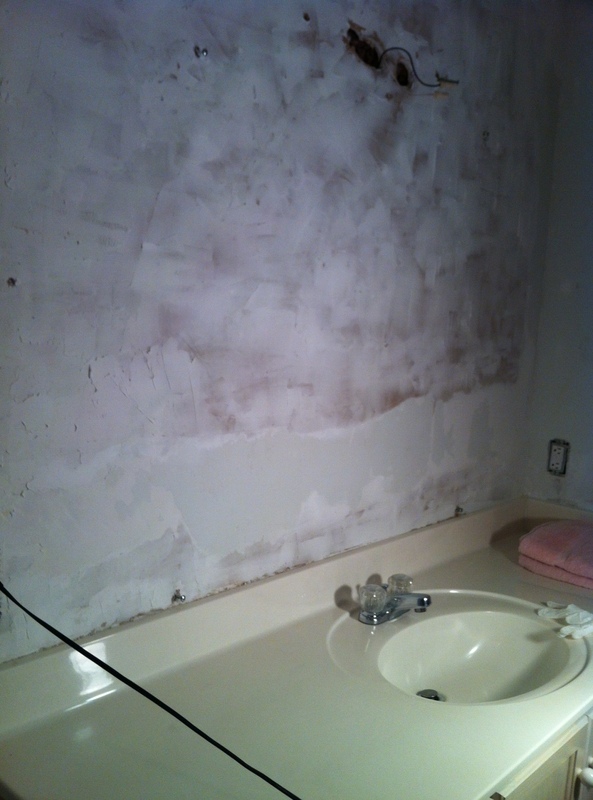 The next time I feel as if a bathroom needs revamping, I will call my realtor. Moving would be so much easier. Either that or I will leave it to the professionals. This is not my forte. 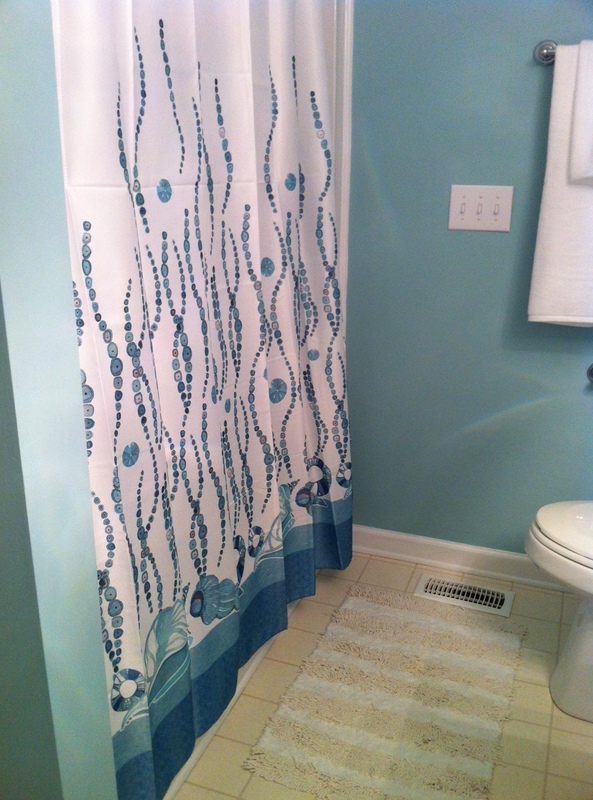 But I can’t help but smile every time I walk into the guest bath and see the most beautiful bathroom in North Carolina. It was a job well done. And a summer with considerably less pool and beach time than I had planned. It is time to get back to the business of writing. Jack, it is beautiful! I love all your details and finishing touches!! Enjoy!! Thank you Kimmie, it sure hasn’t left much time for anything else, I can tell you that! You did an outstanding job, Jack. Love the entire concept. I would work on my MB, but I need a new transmission first. If you need help on your next project, give me a call. We remodeled our Philadelphia Levittown-type home inside and out from roof to base – there isn’t much I haven’t done. Electric, plumbing, painting, installing cabinets, new roof, installing windows/doors/storm doors. Love doing this. Thank you Judy, I will keep you in mind, although I am pretty sure I’m not going to attempt anything else for a long time. This was an eye-opening experience. You are an amazing woman, with lots of hidden talents! It came out really nice Jack. Great job and love the colors! Thanks for sharing, Jack. It looks wonderful. And, as always, the story provides the finishing touch.